The Annual St. Patrick’s Day Warm-Up Parade draws thousands to the Brookside area. Families and friends from all over Kansas City and the metro area come together to celebrate their Irish heritage in Brookside. Our event is family-friendly, safe, and celebrates the Irish community of Kansas City with juried floats and the best dancers, musicians, and themed-floats in the area. Challenge: Day-of coverage and overall communication are always an obstacle when accommodating for an overwhelming amount of people flooding the Brookside area for the annual St. Patrick’s Warm-Up Parade. We used Brookside’s impressive social media following to our advantage. 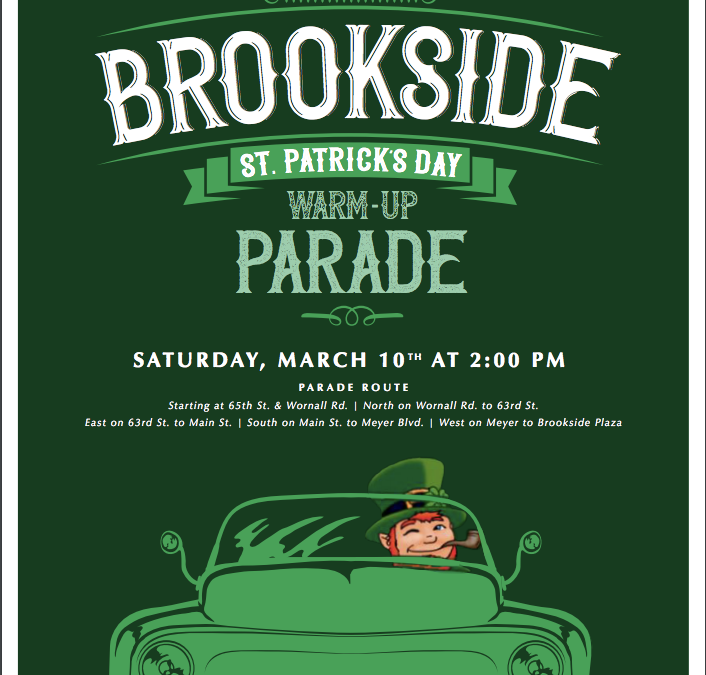 Strategy: We wanted to create a campaign that promoted the St. Patrick’s Day Warm-Up Parade, encouraged people to stay and shop and dine locally in Brookside, and ultimately increase engagement and sales. Resources: We created a social media campaign that detailed logistics for visitors and gave them ideas for things to do in the Brookside area before and after the parade. We used Facebook posts and a Facebook event to communicate information and increase hype for the event. We had a videographer film the event so that we could have future content to share. The Brookside district was noticeably bustling all day. Sales during March of 2018 increased by 6.5% compared to the previous year.